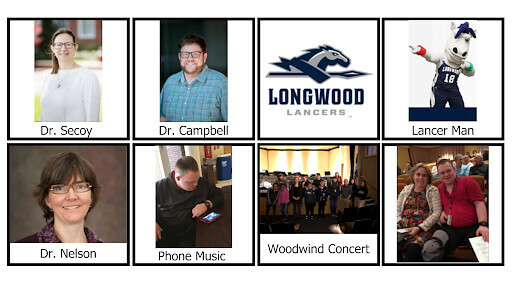 Longwood Seminar (LSEM) is the first class that a new Lancer experiences. The class begins during New Lancer Days, an extended freshman orientation. 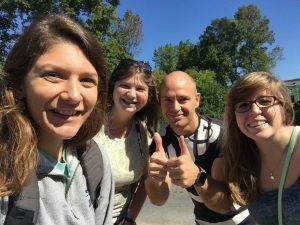 The class focuses on welcoming students to Longwood, orienting new Lancers to campus and Farmville, and encouraging students to use various resources around campus available to all students. Time management and study habits were two topics covered in LSEM that I did benefit from personally. However, I did learn several things about how to analyze texts and use direct quotes from the book to further display an argument. The activity that my professor used to teach us how to use direct quotes from a book involved us providing evidence for different claims about our summer reading book, The Other Wes Moore. I learned that it was challenging for me to select a concise quote that expressed my feelings yet the class allowed me to further develop this important academic skill. The exercises used in my LSEM class to analyze literature would prove to be beneficial in my other honors classes. As I later found out, the layout of my LSEM class was extremely similar to the layout of all other honors classes. My favorite part of LSEM was the activity card that we were required to complete. The activity required students to go to activities around campus that forced the new Lancers to meet fellow freshman and other Longwood students. I took Honors American Literature to meet the third general education goal. We read Swallow Barn, In Ole Virginia, The Romantic Comedians ,and The Known World. Personally, my favorite book we read was In Ole Virginia by Thomas Nelson Page. The book consisted of a collection of short stories depicting slave life during the civil war era in Virginia. The book was interesting to me because it depicted the civil war as ending the golden age in the south, which is contrary to the majority of other historical accounts. The setting in each short story was different, but most occurred on southern plantations. As the honors component to our class, we went on several field trips. My favorite was to three different plantation houses, Stratford, Mt. Airy, and Menokin. Overall, the class was challenging to me because I do not like analyzing books and drawing comparisons between different things. Oftentimes I do not see the similarities and differences that others notice, but having the opportunity to go to three plantation houses made the task of describing the setting of each plantation easier for me as a non-English major. Below is my paper after reading In Ole Virginia. My goal 7 class was the hardest class that I have taken at Longwood. The reason that it was so challenging was that we were required to read detailed books about different cultures, which I had not previously learned about. I went to tutoring sessions and office hours of my professor to succeed in the class. Another challenge for me was the format of the class. It was a majority timed essays that were detailed on the cultures that we were learning about from our books. At the end of the class, I can say that I am able to analyze a book and ask detailed questions that will help me to understand the material. Overall, I would recommend taking the honors section of Western Civilization, as it has the ability to teach people how to study. City as Text is a concept popular in the honors community that focuses on learning from a place from actually going to the place. This has been my favorite class at Longwood so far. We practiced having conversations with people and exploring in Farmville. Once in Atlanta we learned the history of the city from people who grew up there. We also were given different neighborhoods to explore in Atlanta each day. 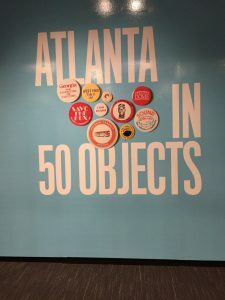 My favorite day while exploring we were looking for a museum, had to get directions from a local, and ended up spending a majority of our time in the museum exploring an exhibit called “Atlanta in 50 Objects”. Through this course I believe I learned skills that will help me navigate a new city on my study abroad, especially the public transportation! A local from Atlanta who helped us find the museum. As part of my position as a Resident Assistant (RA), I took introduction to residential learning as an honors course. The course allowed me to discuss experiences as a first semester RA with other first semester RAs. My favorite component of the class was discussing programming for the communities and bouncing ideas off of one another. An assignment for the course was to create a final portfolio that included an overview of the RA position, a description of your experience, definition of the role of an RA, and a self-evaluation. This was the first course that I enhanced for honors credit. The course had two components, one focusing on phonology and the other focusing on language. My enhancement was to create a brochure and presentation for parents of children with Autism Spectrum Disorder and how to facilitate proper language in their development. This project was not something I had done before, so it was challenging in new ways. One new way I was challenged was explaining information about language development in layman’s terms that parents would understand. Typically in class we use the proper and complicated terms to discuss facilitating language. The course was a learning experience that will help me in clinical practice. My English 400 class had a focus on the school closings in Prince Edward County. 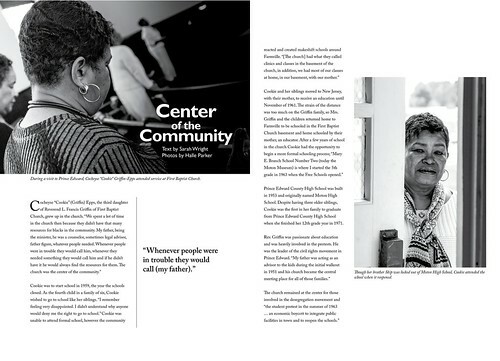 Each writer was partnered with a photographer and assigned to someone who experienced the school closings, referred to as storytellers. My storyteller was Cocheyse “Cookie” Griffin-Epps. My encounters with Cookie taught me more about the history of the little town I have lived in for four years more than visits to the Moton Museum ever could. She explained what it was like to go to school in one of the tar paper shacks instead of me solely looking at photos. The course challenged me to ask questions that would reveal information that was not currently reported in the history books. I was also challenged to write in a way that I had never written before. The article was not an academic paper, so the language use required was different than anything I was used to writing. I also was challenged to critique photos in the class despite never having taken a photography class. We used our experiences in the real world looking at photos to give suggestions to the photographers. We also had a critique process on our articles and revised the piece at least twice a week. Below is my piece in the complete work. My final honors course was part of my Special Education minor. As part of the course, we created communication books for a nonverbal student. 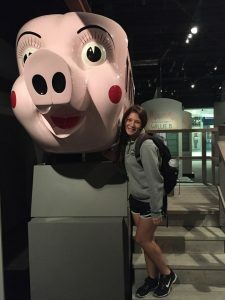 I created a book for use by a student with autism who participates in the Longwood Life program, a two-year non-degree post-secondary certificate program for individuals with intellectual disabilities. The book allowed him to communicate his activities from the day to his family at home. While at Longwood Life, the student is able to talk to classmates about the activities they participated in. This project challenged me in a new way, as I had never made a communication book and knew very little about what to include. I interviewed the family and the advisors of the program to determine which words would be used. I included pictures of students participating in activities to assist in facilitating communication. 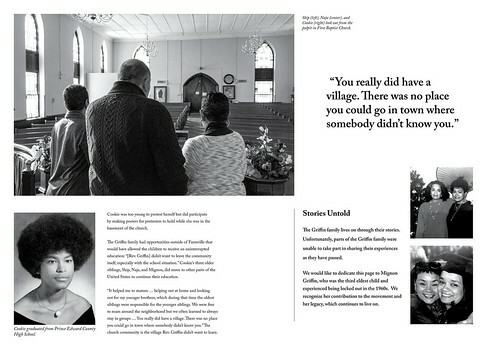 Below you will see a page from my communication book for the Longwood Life student.